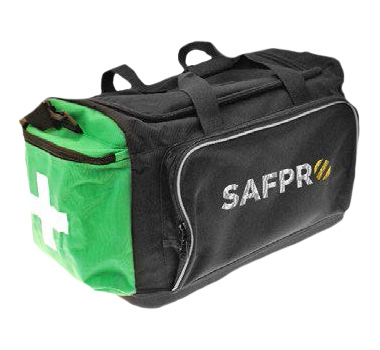 A holdall designed for mobile service operatives. Keeping your PPE in good condition can be a health and safety nightmare if you haven’t got a proven solution in place. Too often PPE gets worn, damaged or discarded and consequently companies often find PPE expenditure spiralling out of control. 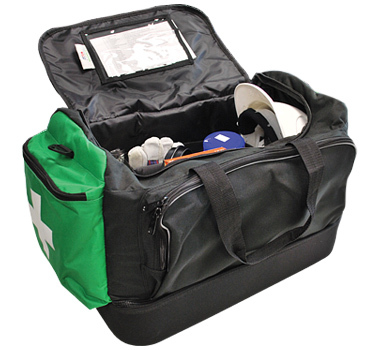 The Organisa PPE Holdall has proved to be a very successful product. Ideal for service engineers and construction workers, the Organisa keeps all the PPE cleverly stored in their own compartments, so that the products do not get damaged and are easily accessible for selection and use. A record card, detailing the contents and expiry dates for a helmet, respirator, etc. enable quick and accurate spot checks by Health & Safety personnel. 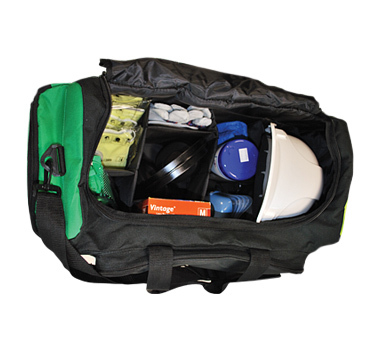 Individual compartments keep everything in order, giving you easy access to all your PPE, whenever you need it. Spot checks by Health & Safety Officers? No Problem. 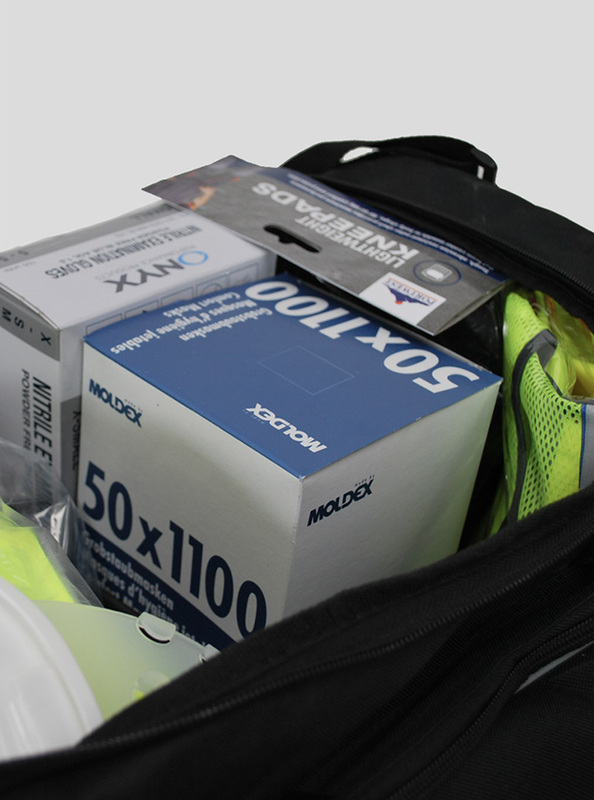 Organise your PPE effectively, with our clear internal pocket for quick access to your record card and content list. Reduce costs on lost or damaged PPE. 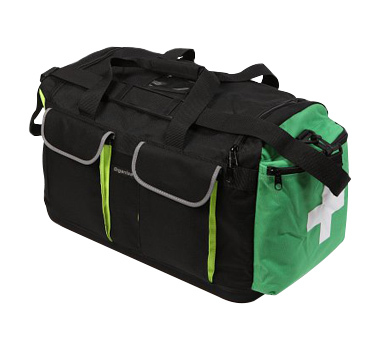 The durable Organisa holdall is the ideal PPE storage solution, protecting and preventing damage in the van or on site. Protect your team and build your brand. Want to personalise your holdall? We’ll help you apply your company logo to the Organisa to promote your brand. Tel: 01452 529050 Email: sales@safpro.co.uk Want to see how the Organisa performs close up? We can arrange a demo.